Education has a new name and it is called “genuine learning”. This is so because today, education is not just confined to reading from textbooks, solving bulky sets of questions for homework and mugging up concepts to come first in exams only to forget everything for good as soon as you get out of school! Today, it is so much more than that. The face of academics is changing and it is changing fast. Let us take a step forward and talk about five educational innovations that broke all shackles of monotonous, regimental and conventional way of educating students. You might feel shocked at first. But sooner or later, you will be overwhelmed to see the changes that have taken place in these classrooms. Coined in 2002, the term gamification is defined as the process where game-based elements and mechanics are applied in other non-game contexts. Since it leads the user to do a certain set of tasks or to act in a desired way, it tends to increase motivation and confidence levels of the user. 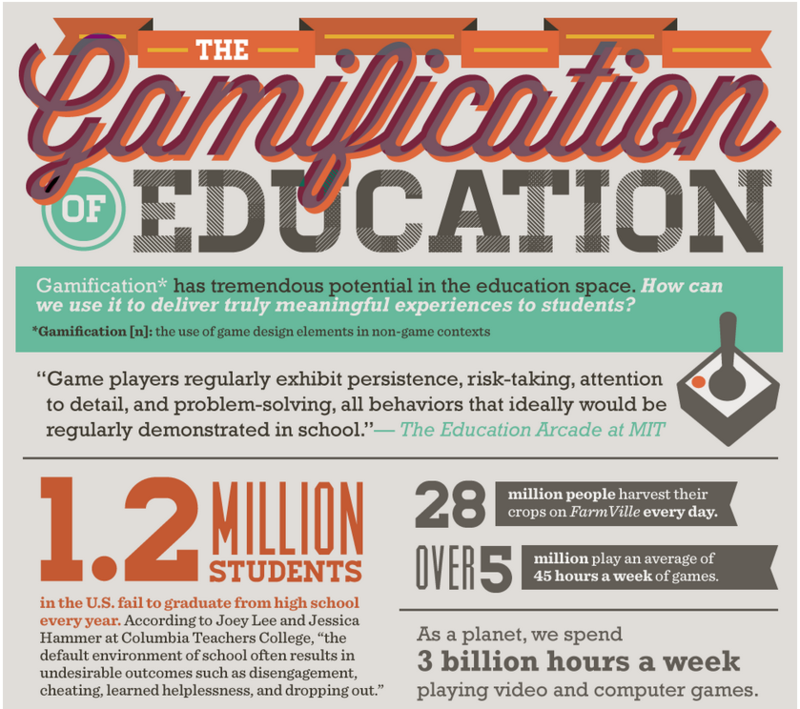 Needless to say, gamification has tremendous potential in the education sector. In classroom scenarios, particularly, these game-based elements are being incorporated with an aim to provide students the opportunities to act independently, display competence and learn in relationship to others. This is based on the simple fact that game players dominantly exhibit persistence, risk-taking, attention to detail and problem-solving – all behaviours that would ideally be regularly demonstrated in school. If you have noticed, our Oust App also instills a sense of competition among its student/user base. You take a quiz, challenge another student to it and compare your score with him or her. Then we have Weekly Leaderboards to help you gauge your performance during the past seven days. In simple words, gamification improves active learning and class engagement in higher education. We are excited to launch a unique championship that comprises of typical competitive exam questions to help students get ready for Karnataka CET, Maharashtra CET & AIPMT. The questions are also typical of what people would expect in EAMCET, BITSAT and other private universities. OUST is conducting a series of competitions that will enable the students to compete & understand where do they stand. The questions chosen for these events will be important for students to understand. When are these events conducted? These events will typically run on each day and from 15th April 2016 to 30th April 2016. We will offer new set of 90 questions every alternate day for PCM & PCB. Students can join both contests. PCB starts April 15 & PCM starts April 16. Top 50 students (we have a secret algorithm to eliminate fraud and participants who play multiple times) will be invited to participate in the final LIVE TEST to determine who gets the Amazon Kindle. Decisions made by the Oust team is FINAL & BINDING. Students can only participate in the contest via the Mobile Phone (only Android devices with version 4.0 or higher). Only one entry per person allowed.